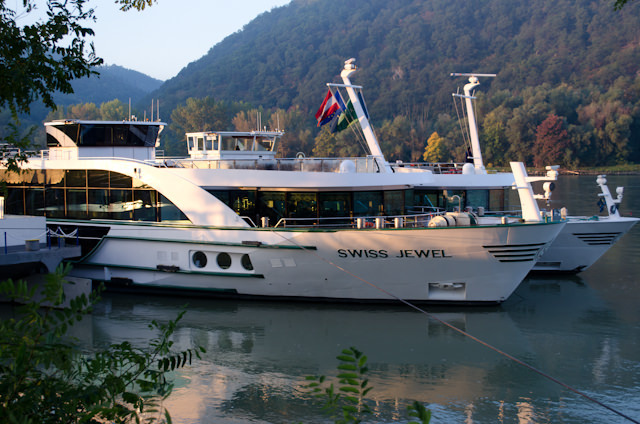 In the fall of 2012, I flew to Budapest to begin a 12-day trip along the Danube with Tauck aboard their elegantly-appointed Swiss Jewel. A seven day cruise coupled with fully-guided pre-and-post cruise stays in Budapest and Prague, I figured the experience would be a good one. After all, Tauck has been providing guided tours since 1925 when the company was founded by Arthur Tauck, Sr., and 89 years of experience speaks volumes. What I didn’t count on – and didn’t even expect – was that the company’s Tauck Directors would make everything so effortless. Andy, Christine and Staci took care of every single part of the land tour. After getting off my transatlantic flight (and connection), I didn’t have to check into the Budapest Marriott – they’d already done that for me. I stepped off the coach and Christine handed me my keycards. I was in my room in less than 90 seconds. First impressions make a lasting difference, and this first impression was one for the record books. From there, the trip only got better. We were granted private access to museums normally packed with tourists. We enjoyed white-gloved, multi-course dinners in Budapest and Prague at venues that you could never buy your way into. We were treated to a private dinner and concert in Vienna that still ranks as one of the premier experiences I’ve ever had in Europe. 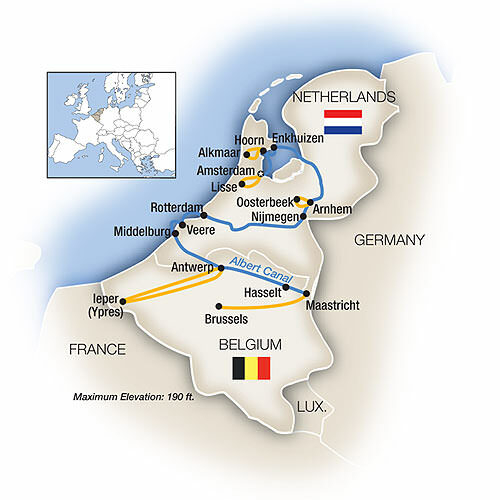 This coming April, I get to rekindle my love affair with Tauck all over again, as I set sail on the maiden voyage of their newest vessel, the ms Inspire, on a 10-day journey through Holland and Belgium. 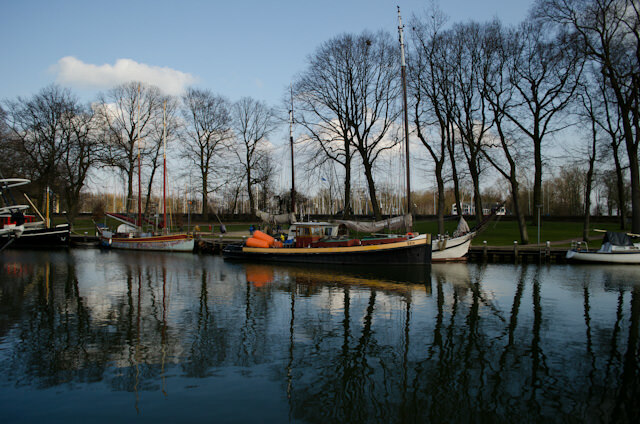 April 9 Hoorn, Netherlands / Enkhuizen, Netherlands Walking tour of Hoorn or visit to Alkmaar. Walking tour of Enkhuizen & open-air Zuiderzee Museum. 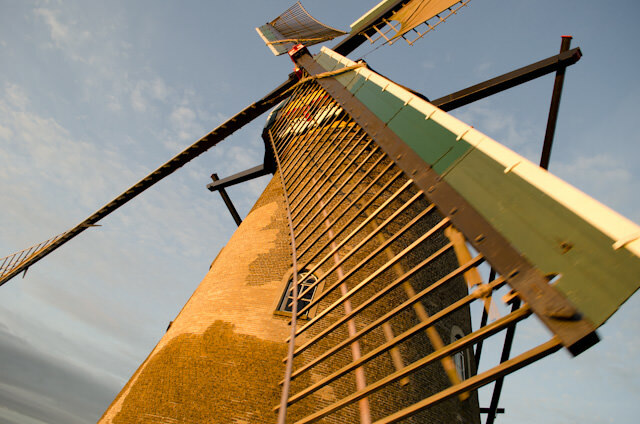 April 10 Arnhem, Netherlands Choice of tours - De Hoge Veluwe National Park exploration with Vincent Van Gogh at the Kroller-Muller Museum, or tour sites associated with the WWII airborne assault on Arnhem. April 11 Rotterdam, Netherlands Tour of Rotterdam & its museums, or optional excursion to the historic city of Delft. April 12 Veere, Netherlands / Middleburg, Netherlands. Exploration of Veere or excursion to Neeltje Jans Delta Works to learn about the country's storm surge barriers. In Middleburg, enjoy time exploring on own. April 13 Antwerp, Belgium / Ypres Orientation walking tour through Antwerp's historic city center & visit the Red Star Line museum. After lunch, Tauck Exclusive tour to Flanders to observe the centennial of World War I with dinner and a private visit to the In Flanders Fields museum. April 14 Antwerp, Belgium / Hasselt, Belgium / Maastricht, Netherlands Drive to Margraten to see the Netherlands American Cemetery. Tauck Exclusive Lunch at Chateau Neercanne, a UNESCO World Heritage Site. Guided visit to Maastricht & free time in the Old Town. April 15 Brussels, Belgium Disembark ms Inspire & travel to Brussels for a full day of sightseeing. Overnight at the Hotel Amigo. April 16 Brussels, Belgium Onward journey home. The ms Inspire is Tauck’s newest river cruise ship. Together with her fleetmate ms Savor – which will enter service in June – she is the largest vessel to ever sail for the line. At 443 feet in length, she is 82 feet longer than the Swiss Jewel and her sisters, yet she only carries an additional 12 guests for a maximum of 130. That’s enormously spacious, even for a river cruise vessel. 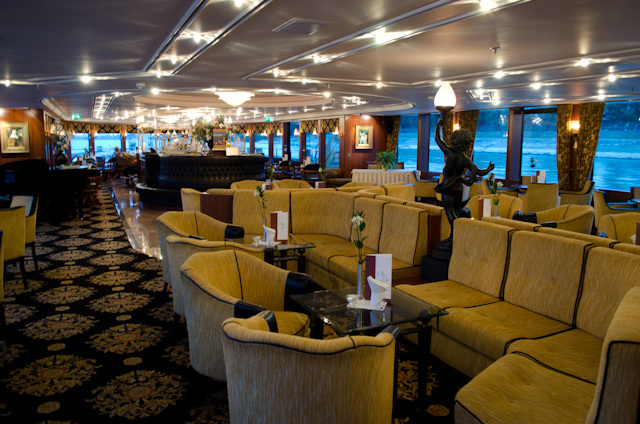 Ships the size of the ms Inspire routinely carry up to 190 guests on many other river cruise lines. But these new vessels aren’t stretch versions of their predecessors. Instead, Tauck has taken the best and most successful features of their Jewel-class ships and has rolled them into this new Inspiration-class. The ms Inspire’s new Category 3 staterooms will feature an innovative loft design. Photo-illustration courtesy of Tauck. New features abound on the ms Inspire. Staterooms and suites will feature spacious bathrooms – some with double sinks – along with Molton Brown bath products (which are amazing! ), and comfortable pillow-top mattresses. Onboard are a whopping 22 suites measuring 300 square feet, along with 32 staterooms that are generously sized at 225 square feet. 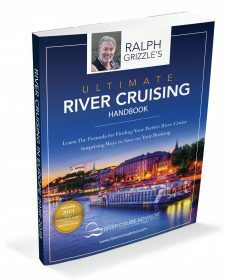 The average river cruise ship stateroom, across all lines, is somewhere between 150 and 200 square feet. 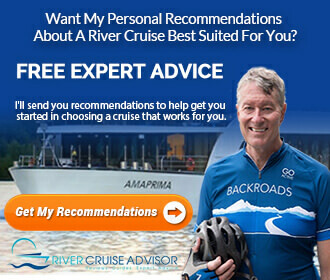 What really excites me, though, is something totally unique to Tauck: the inclusion of eight “Loft Style” riverview staterooms. Located on Emerald Deck (the lowest passenger deck aboard), these Category 3 staterooms feature a raised loft sitting area positioned next to an electronically-controlled one-and-a-half deck window that opens at the top to let fresh air in. The seating area features two chairs and a small table, while the rest of the room is attractively paneled in dark woods and makes stunning use of the available 225-square foot space. 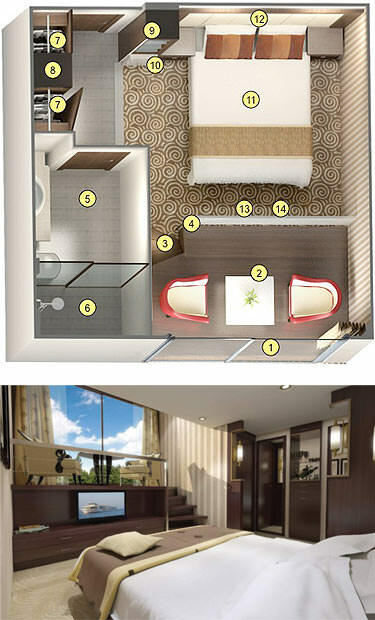 To allow for the raised loft area in the Category 3 cabins, Category 5 staterooms are arranged in an innovative L-shape. Tauck has always been a highly-inclusive line, with gratuities and all excursions and entrance fees included in the price of the cruise. Starting this year, they’ve gone fully inclusive by offering unlimited complimentary beverages onboard the ship, including regional wines, beers, and premium spirits, as well as coffee, tea water and soft drinks. In short, the ms Inspire could do circles in the Amsterdam harbour and I’d still be excited to get a first-hand glimpse at her. But fortunately, this trip doesn’t do that – instead, it explores some of the most beautiful and historic sites that Belgium and Holland have to offer. This year is an important one in Europe: it marks the centennial of the start of World War I, and the 70th anniversary of the D-Day landings in Normandy. 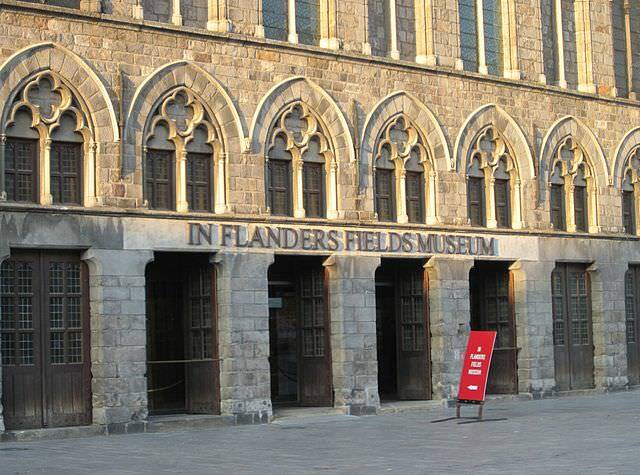 On this itinerary, Tauck has crafted a very special and no doubt moving event that is exclusive to the line: dinner and a private visit to the In Flanders Fields Museum in Leper (Ypres), Belgium. Being Canadian, the famous poem In Flanders Fields written by Canadian Lieutenant John McCrae in 1915 is something that everyone learns by heart in school. After Halloween, we wear a Poppy on our overcoats, on the same side as our heart, to honour those who lost their lives in both World Wars. The poppy stays on through November 11, when Remembrance Day ceremonies are held at exactly eleven o’clock in the morning. To be able to enjoy a private event at such a historic place is a huge deal for me. Americans aren’t left out, either. The very next day, Tauck includes a visit to the Netherlands American Cemetery, the final resting place of thousands of U.S. soldiers who fell in battle there during the darkest days of World War II. But it’s not all heavy stuff. We also get to enjoy a day at the famed Keukenhof Gardens; a special lunch at the grand (and Michelin-starred) Chateau Neercanne; not to mention sightseeing in cities like Rotterdam, Antwerp and Brussels. So come along with us as we explore the best of Belgium and the Netherlands during what might arguably be the best season to visit both countries: springtime.